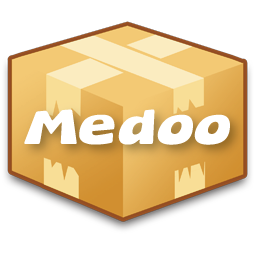 Add Medoo to composer.json configuration file. // If you installed via composer, just use this code to require autoloader on the top of your projects. For most of time, Medoo is using develop branch for adding feature and fixing bug, and the branch will be merged into master branch while releasing a public version. For contribution, submit your code to the develop branch, and start a pull request into it. On develop branch, each commits are started with [fix], [feature] or [update] tag to indicate the change. Keep it simple and keep it clear. Medoo is under the MIT license.